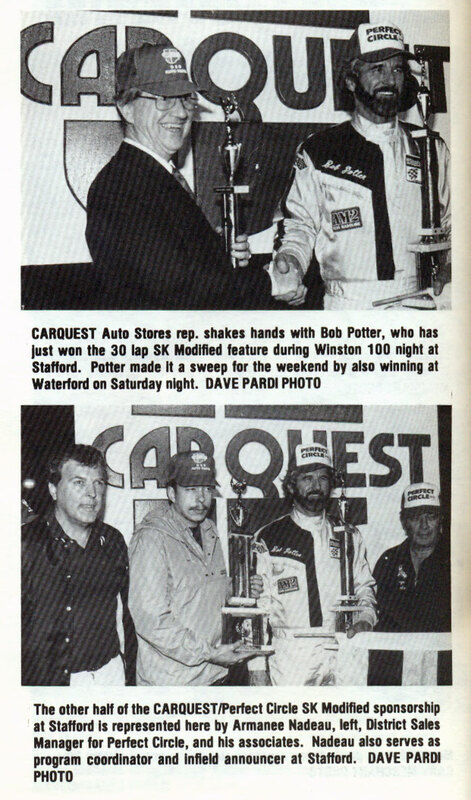 1987 was year 3 of the Stafford Motor Speedway/CARQUEST Auto Parts relationship. 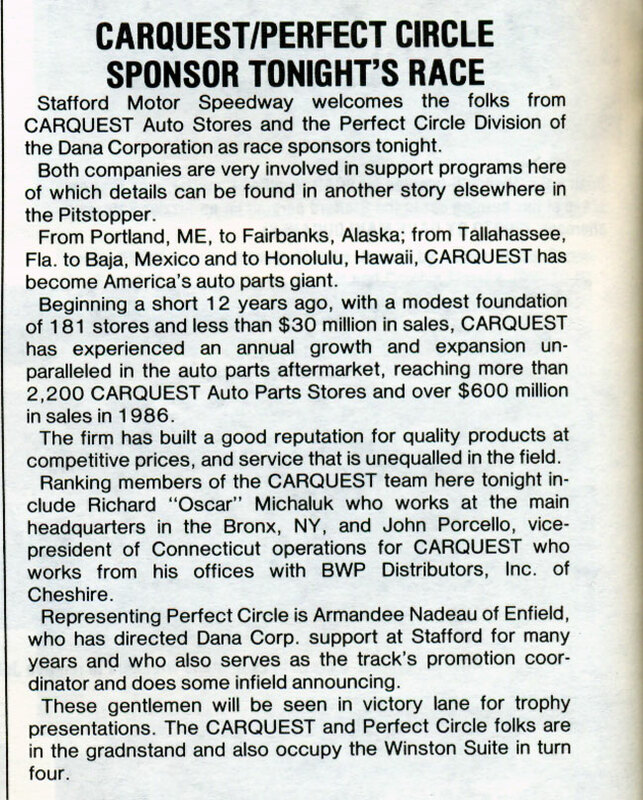 CARQUEST, along with Perfect Circle and Victor Gaskets, continued their support of the SK Modified® and Late Model divisions with a contingency bonus as well as being the title sponsor of the SK Modified® division for the second consecutive season. 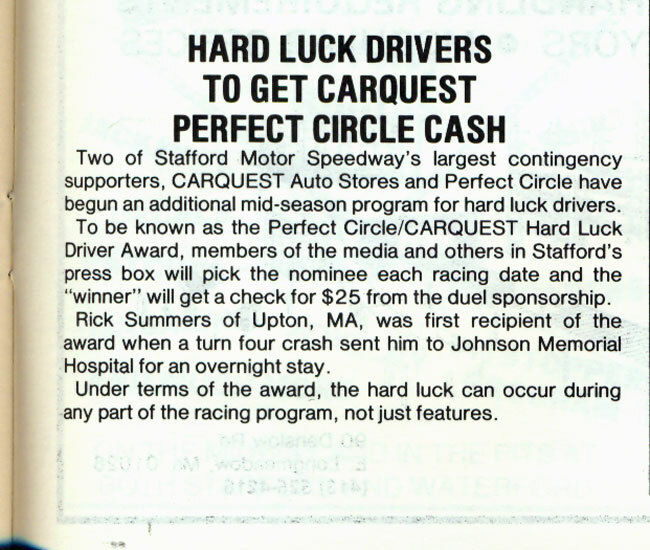 CARQUEST paid $100 to each winner, $50 for second, and $25 each for 10th and 25th place finishers in both the SK Modified® and Late Model divisions at Stafford. 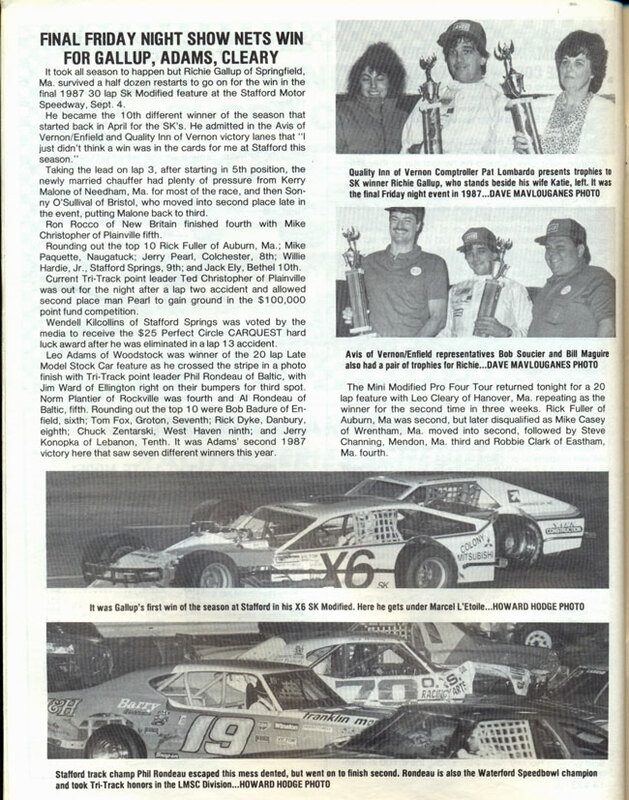 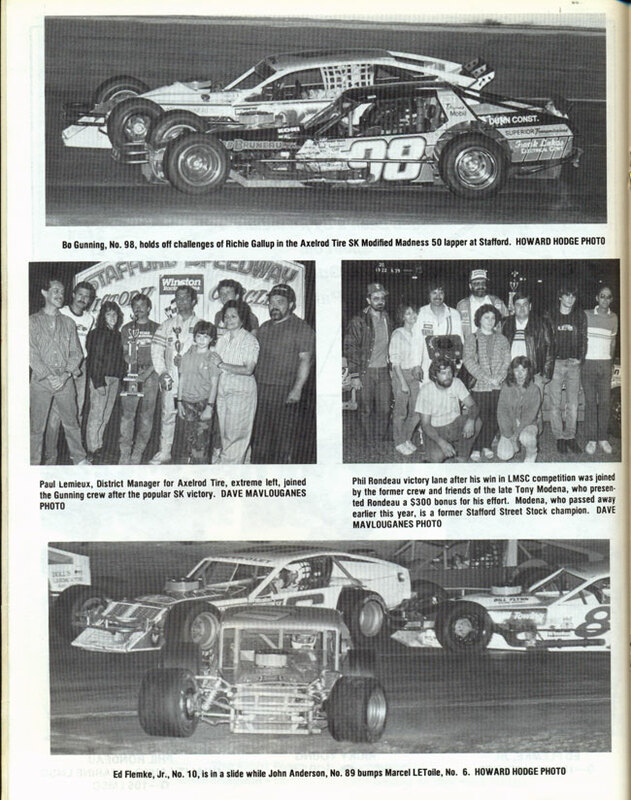 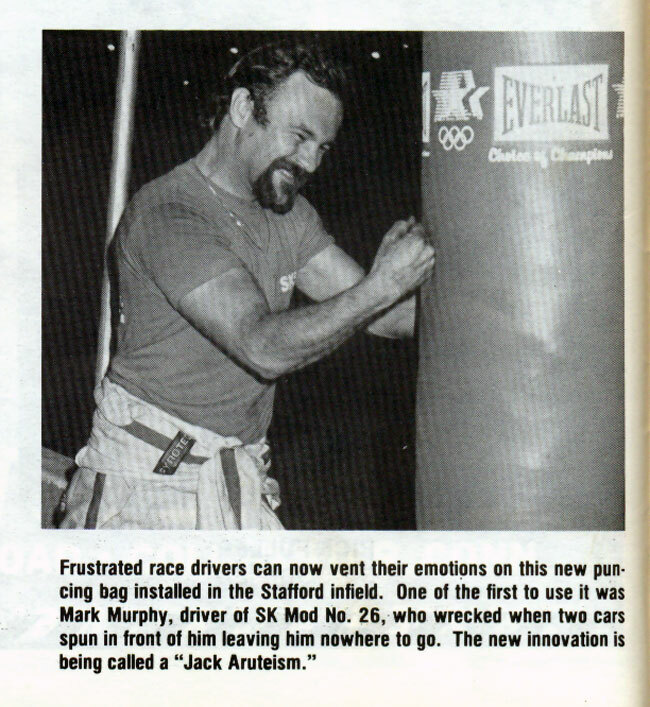 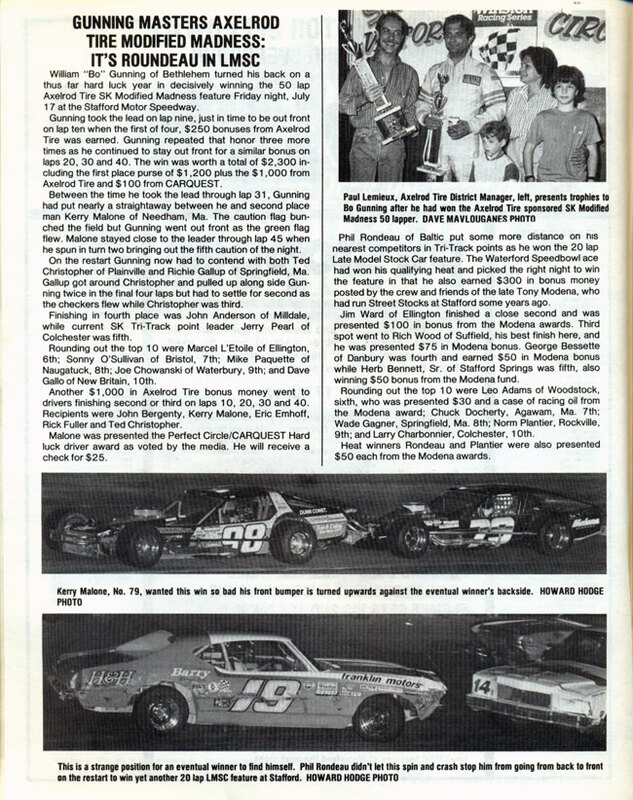 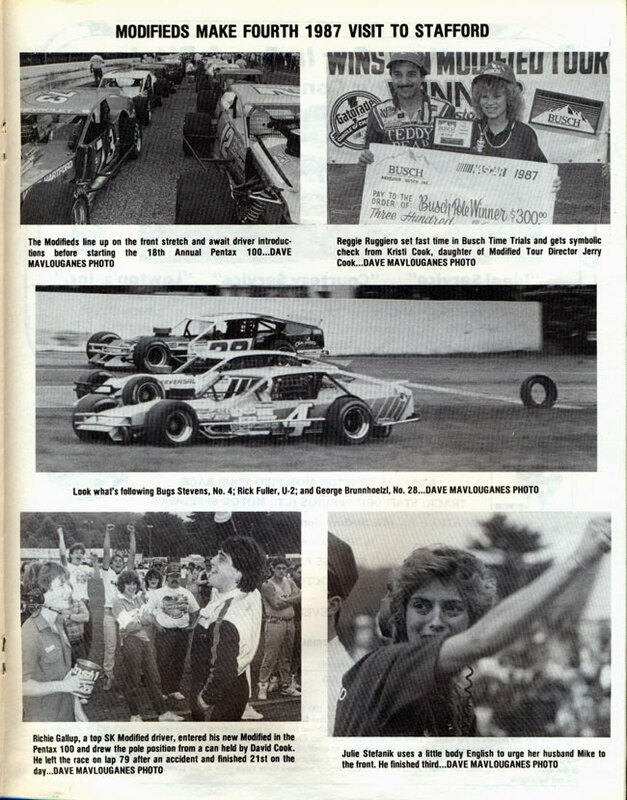 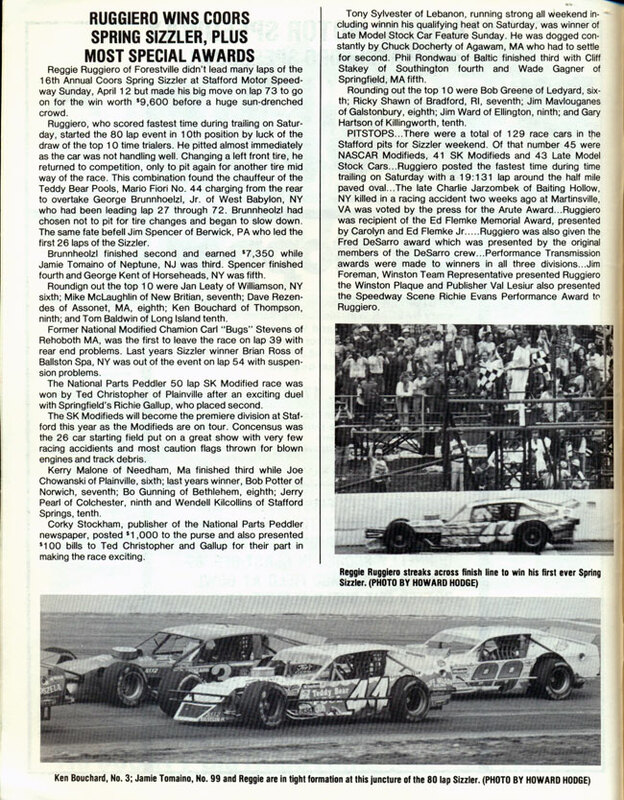 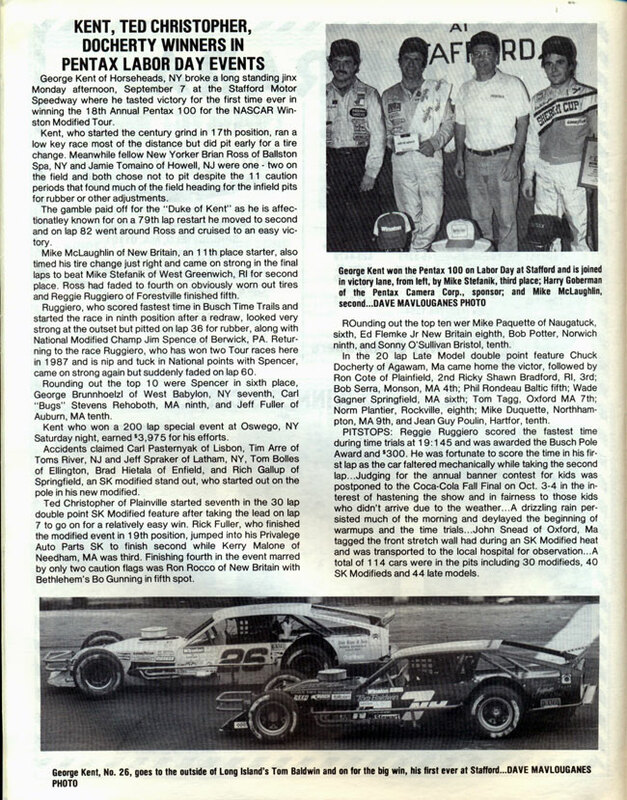 CARQUEST also supplied an extra $1,000 to the SK Modified® purses for the Winston 100, Manchester Oil Heat 100, Pentax 100, and Fall Final events, while supplying an extra $500 to the Late Model purses on May 22nd and August 14th of 1987. 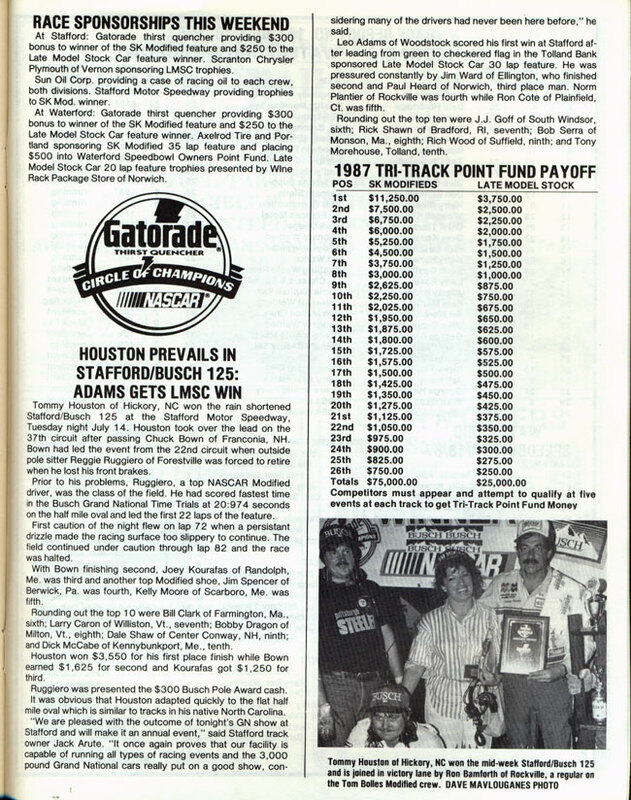 CARQUEST also added an extra $1,000 to the Stafford Car Owner Point Fund. 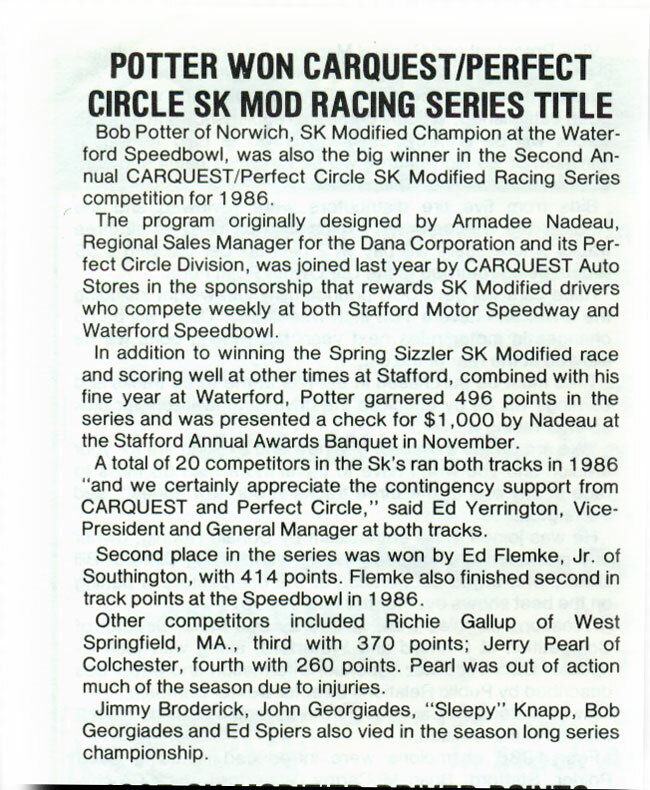 CARQUEST and Perfect Circle were also the title sponsor of the CARQUEST/Perfect Circle 100 on July 3rd, a double point event for the SK Modifieds®. 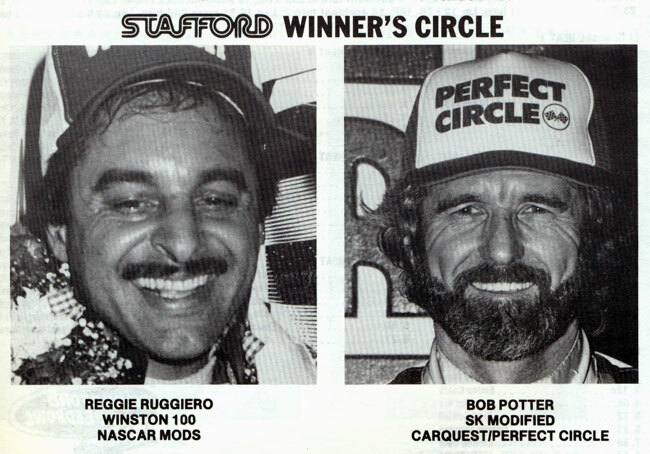 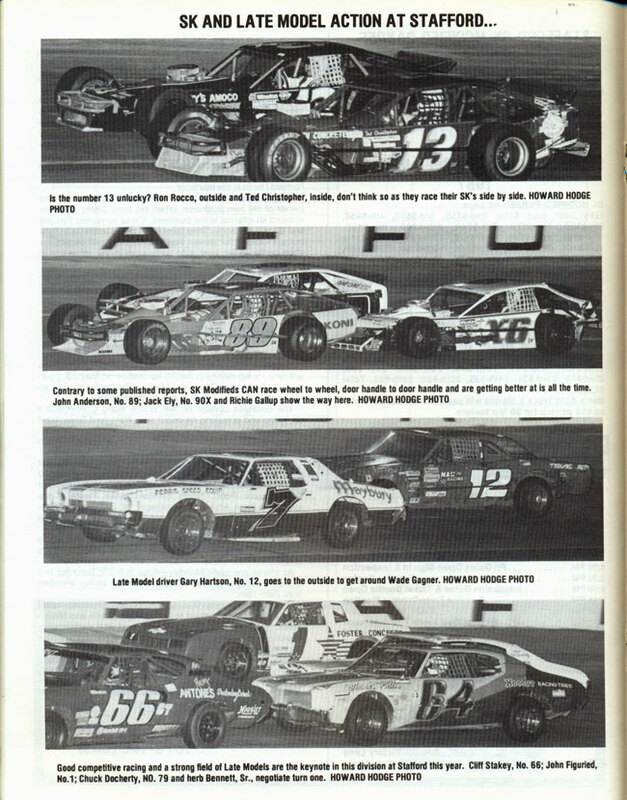 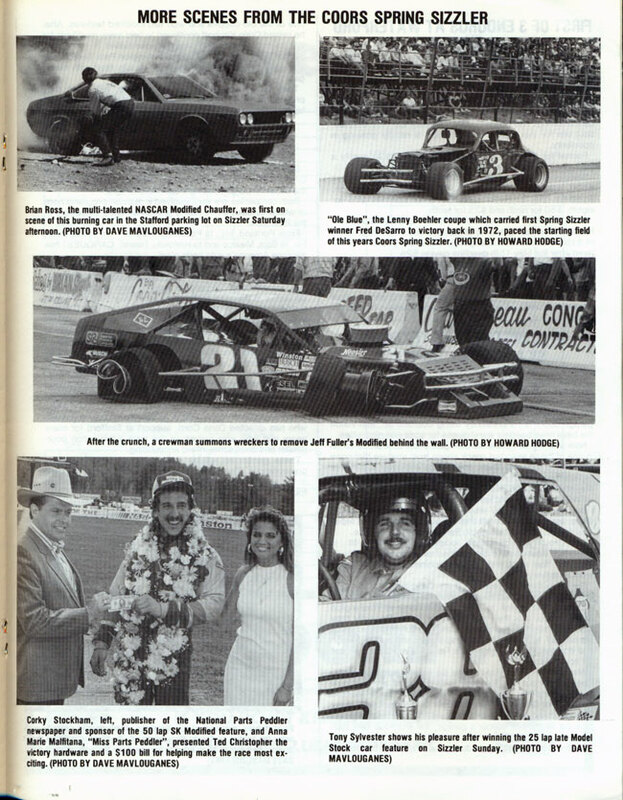 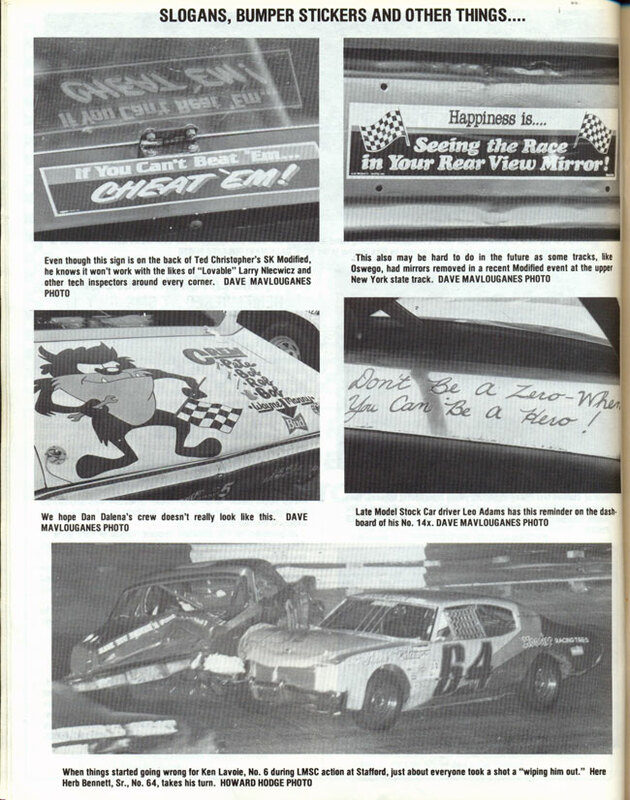 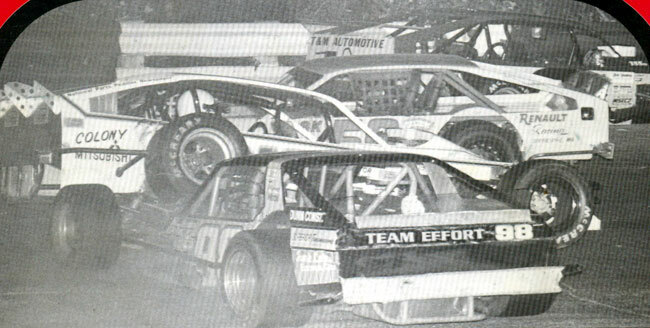 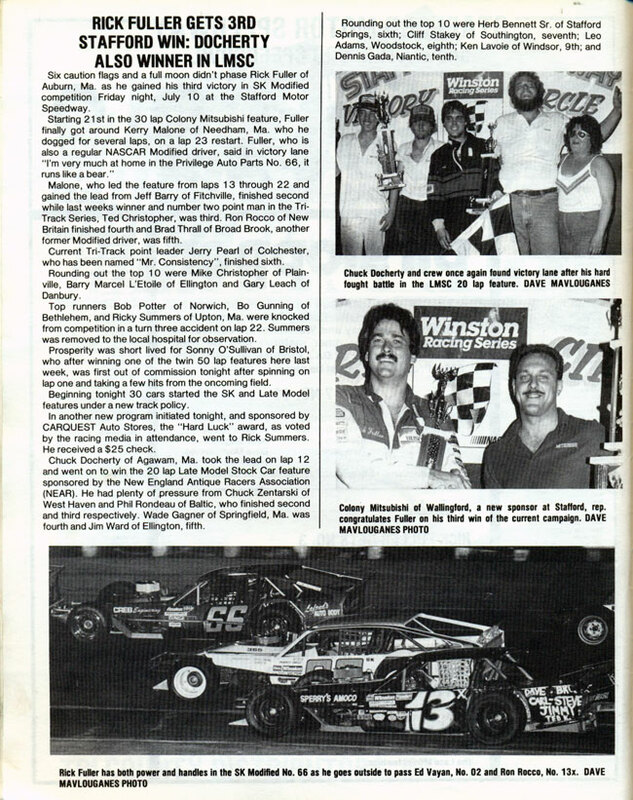 The Whelen Modified Tour made a total of five visits to Stafford during the 1987 season with the CARQUEST Tech-Net Spring Sizzler, the Winston 100, the Manchester Oil Heat 100, the Pentax 100, and the CARQUEST Fall Final. 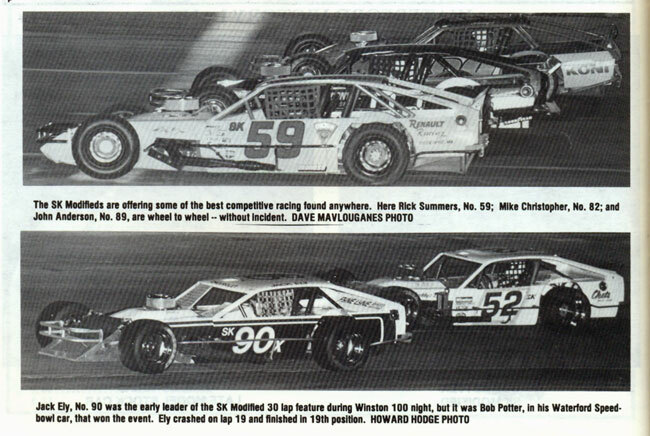 Reggie Ruggiero won the Sizzler, Winston 100, and Fall Final, with Mike McLaughlin taking the Manchester Oil Heat 100 and George Kent winning the Pentax 100. 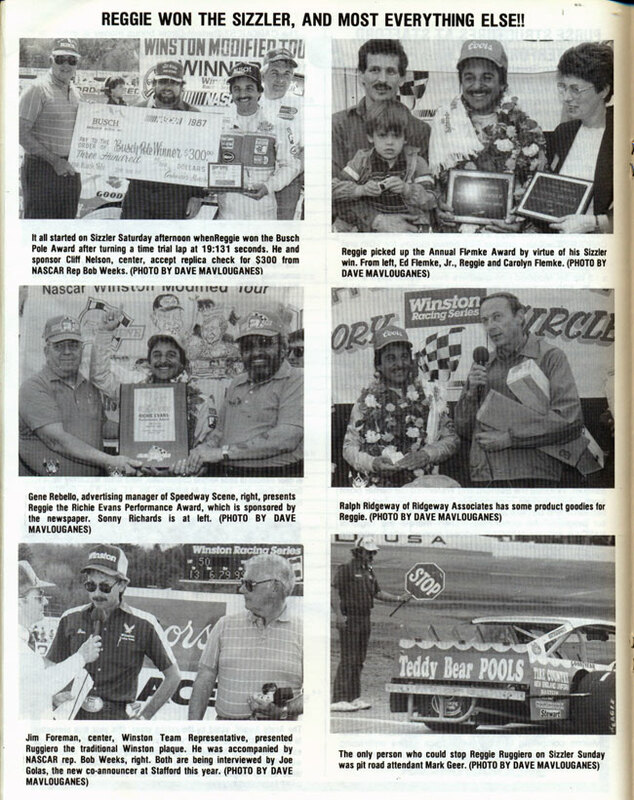 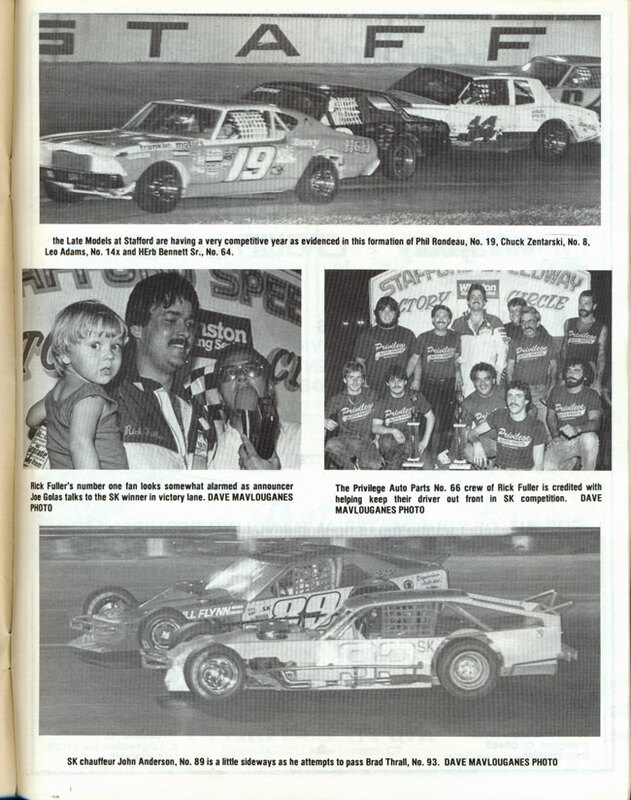 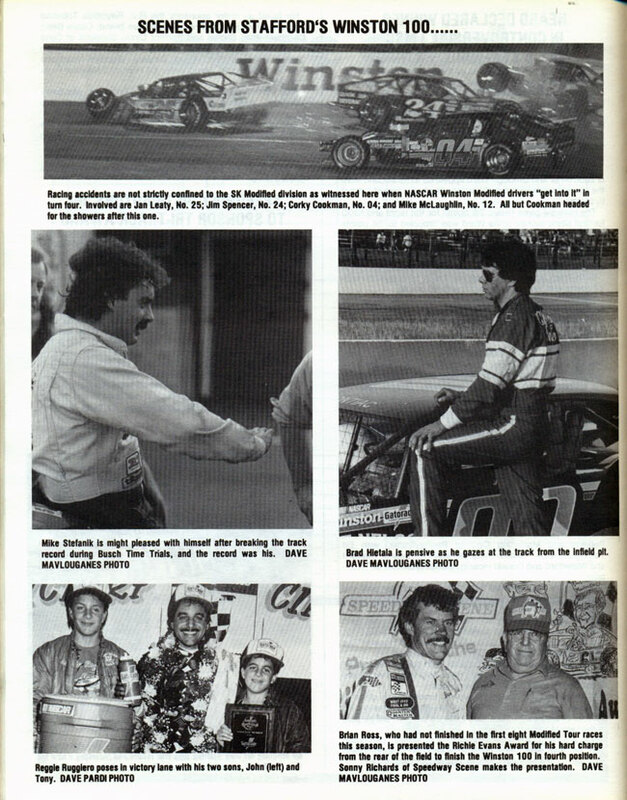 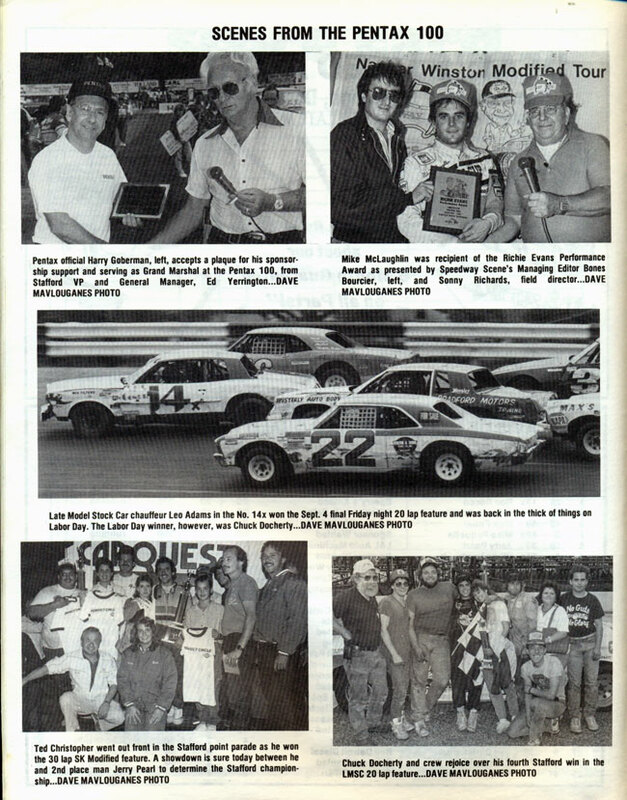 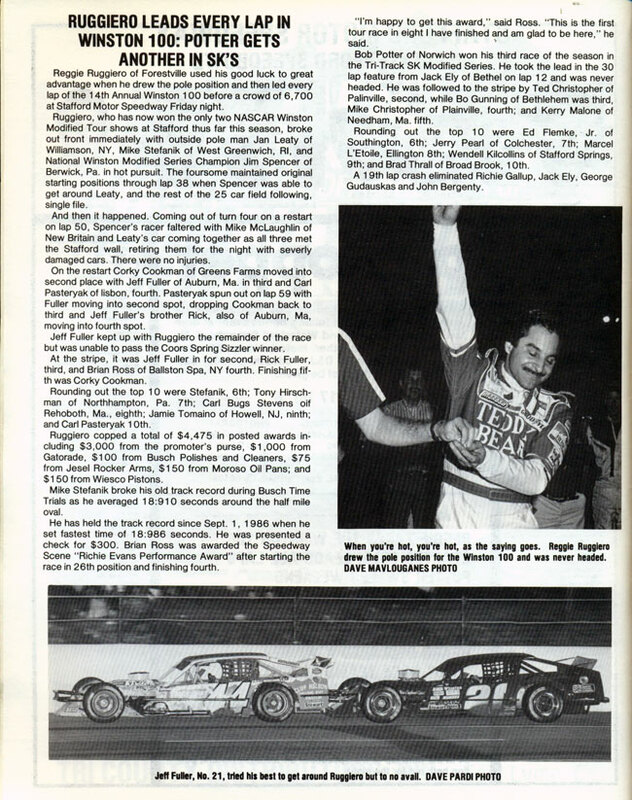 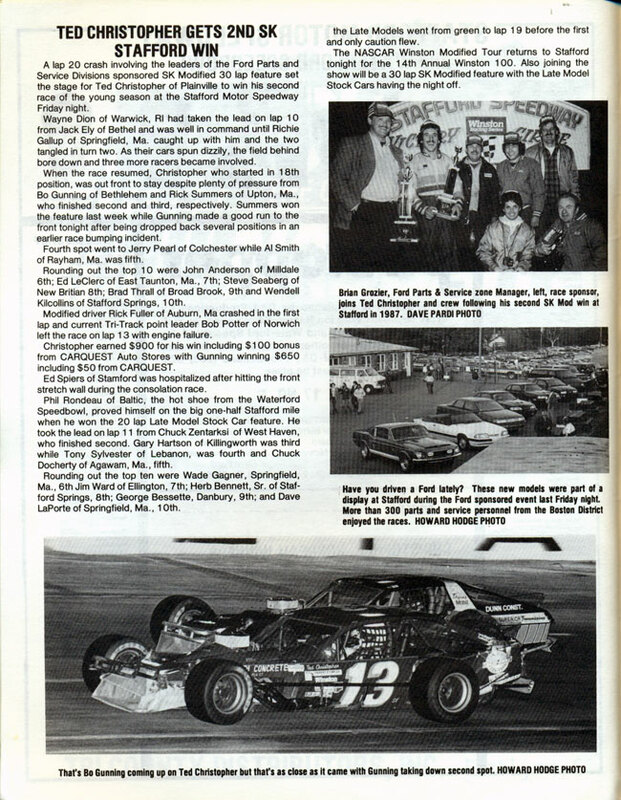 Stafford also played host to the K & N Pro East Series, or what was known in 1987 as the Busch North Series for the first time with Tommy Houston taking the checkered flag.